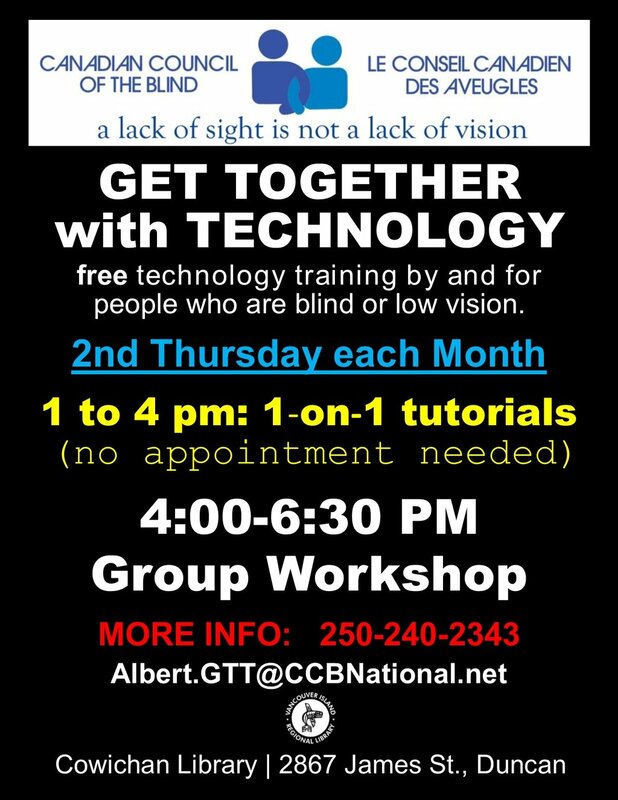 Get Together with Technology (GTT) is a free workshop by and for people who are blind or low vision. 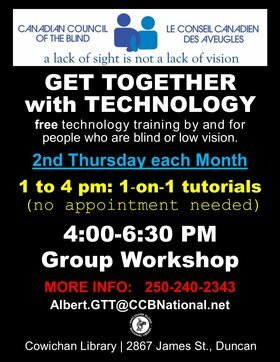 GTT gathers in the Cowichan Library Meeting Room, in Duncan, the second Thursday of each month. * Organizers will try to reach participants individually in the rare event of a GTT meeting cancellation.